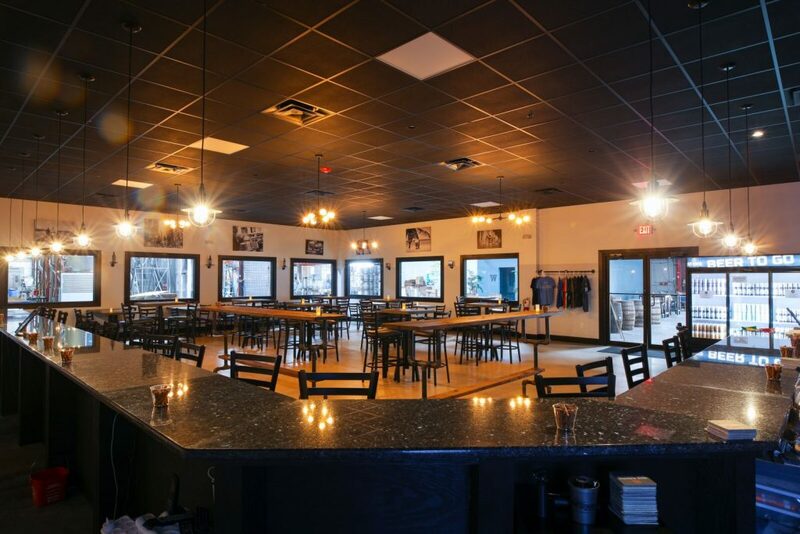 Taproom – Due South Brewing Co. The brewery taproom is a great place to catch the game or watch the latest batch getting brewed while sipping a pint or picking up a 6-pack of cans to go. We have a large air conditioned space (completed in 2018) as well as an indoor beer garden where visitors can play games anytime or join us when we host regular events like craft fairs, paint nights, or yoga. In addition to beer, the taproom offers craft sodas and has a nice selection of wine. Check our events calendar for the most up to date information on food trucks and special events. 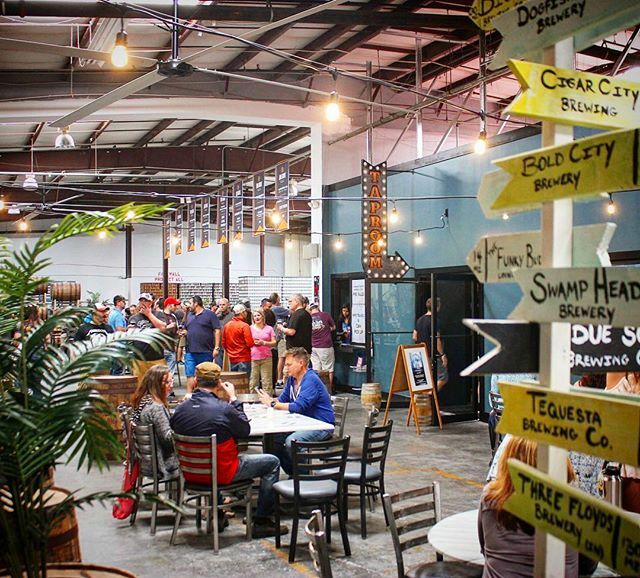 We have trivia, bingo, and Pop-Up events at the brewery. During Happy Hour, Tuesday through Friday 4-6 pm, Due South beers are all $1 off the normal price and wine is buy-one-get-one free. We fill your CO2 tanks. Stop by during regular taproom hours to get your tank filled, but call ahead (561-463-2337) as our tanks can only be filled my the manager on duty. Your tank must have been hydrostatic tested within the last 5 years, and must be free of damage or defects to be filled. We reserve to right to fill any tank that could potentially cause damage or injury to equipment or staff. All ages are welcome until 6pm. The brewery is 21+ after 6pm. We hope you come join us for a beer soon! We also have a select wine menu. Ask any bartender to see a list of our current wines or check out the list on our Wine Bar page.